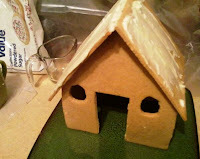 Grandma Bonnie's Closet: My First Gingerbread House! 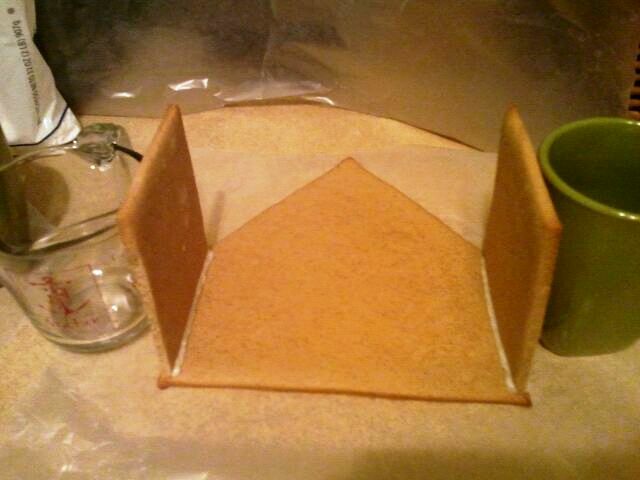 This is the first time I made a gingerbread house for the holidays. I really enjoyed making this little house. 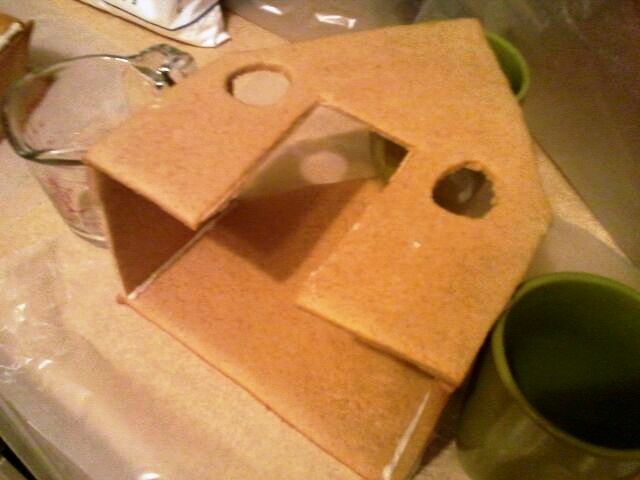 I thought it would be easy to construct but I did have a little trouble getting the sides of the house not to slide or fold in. I found a simple recipe for a hard gingerbread it would be considered construction grade. Paper pattern for cutting out house pieces. Mix together the first 4 ingredients. Stir together over medium heat the last 3 ingredients until the margarine is melted. Mix the ingredients together. The dough will be warm and easy to handle. As the dough cools it will get hard to work with. 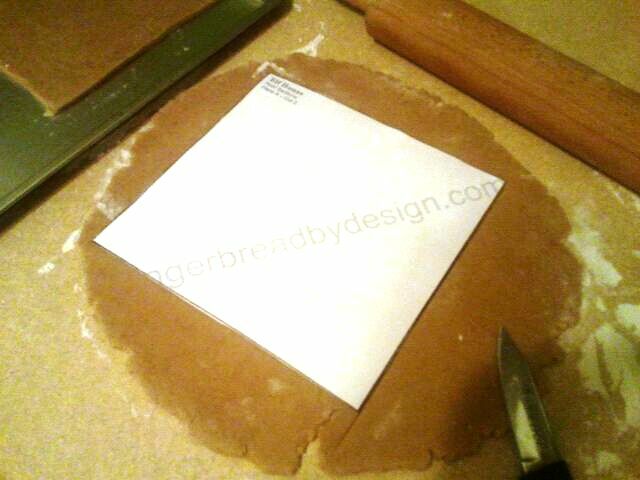 While still warm roll out dough to a 1/4 inch in thickness. Place pattern pieces and cut with a knife. 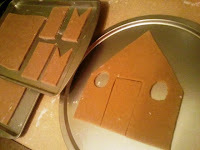 Place on a lined cookie sheet and cut out doors and windows. Bake for 12 to 15 min. at 350degrees. When pieces cool they will be very hard. I used a butter cream icing to put my house together. You can find that recipe here. 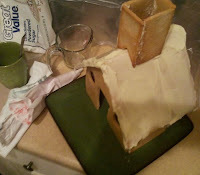 I found the pattern and dough recipe for my gingerbread house here. Oh How Cute!! 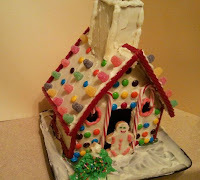 I have always wanted to make one but didn't have the guts. Maybe..... some day! We've tried several times making gingerbread houses. They stand up long enough to take a picture. Then they fall over. 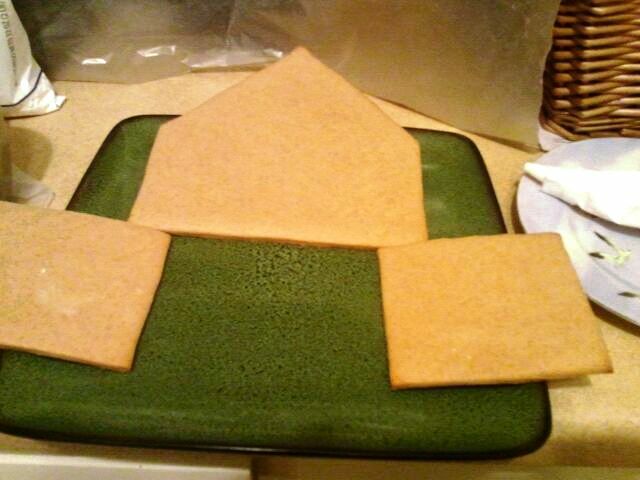 But we always have fun making them. I love yours. Great job. Wow! That is amazing. I am really impressed that you made the gingerbread and then decorated it! I am too lazy to even buy a kit! 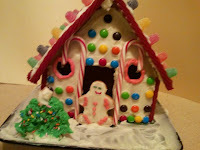 Hope you can pop over to my blog and enter my giveaway! We make a Gingerbread house every year but I always buy the kit. If I can fit in a day to make my own I'm going to try to do that since I've not bought one yet. Yours is just too cute!! How precious!! I've never attempted to make one...but we saw some amazing ones at a recent craft fair we went to. canes by the door! 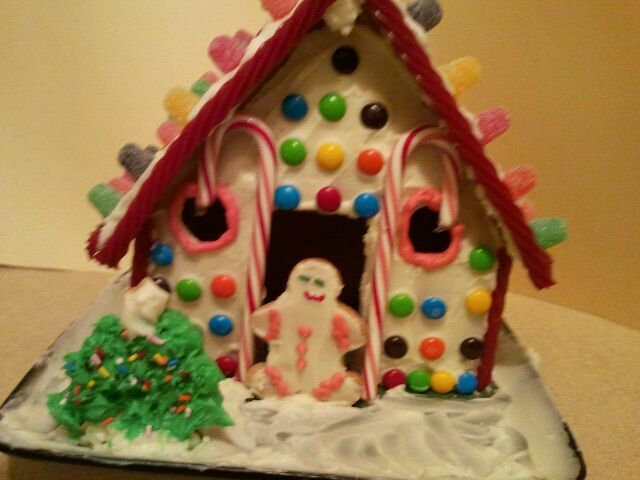 Congratulations on your gingerbread house! This is really cool. I bet you all had a ton of fun making it. I bet he wanted to eat it all! 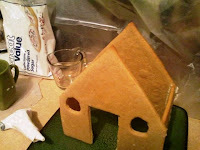 My kids and I used to make these the easy way...with kits! They enjoyed the decoration part. We had lots of fun. Very nice! I love how you decorated it! It turned out great!! Thanks for sharing at Shine on Friday!! We hope you'll join us again soon! !